As a member of strong advocacy groups on campus like Artist’s Alliance, Spectrum, and Angels for the Environment, Shila hopes she can make a difference in the community. 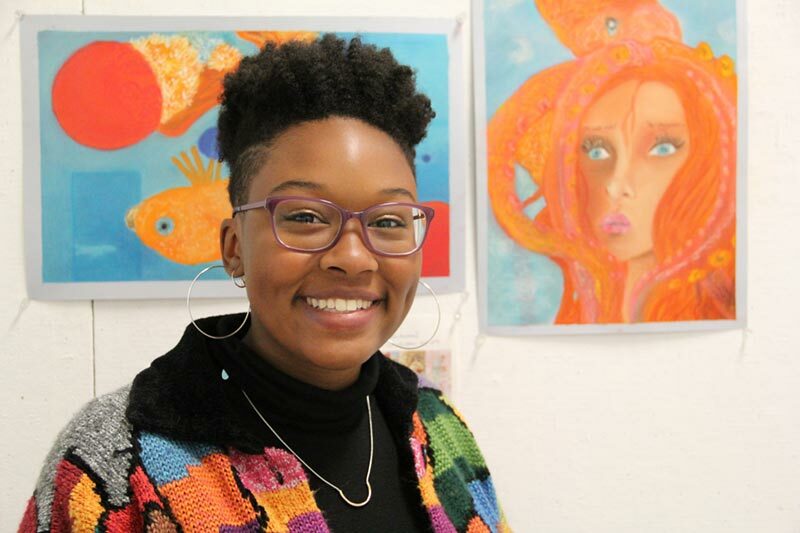 Majoring in art education with a K-12 licensure, Shila hopes to continue her education by getting a master’s degree in fine arts and education to better prepare her for a career as an art educator. Growing up, Shila used art to express herself and as a means to cope through hard times. As a teacher, she hopes to support her students by letting them embrace their creativity and one day help someone find their calling as an artist. “I would like to become an important figure within the educational system and the arts community by helping to create programs and improve existing ones as well,” said Shila. Driven by her passion for helping people, Shila became a Service Scholar. As such, she gets the opportunity to give back to the outside community by volunteering at least 35 hours each semester. Through the program, she volunteered at the Salvation Army Center of Hope in Raleigh, where she was able to work with the homeless community. Expanding on her efforts, Shila decided this year to continue to support the homeless community through the LGBT Center of Raleigh. In working with the homeless last year she learned that the LGBT community, specifically LGBT youth, have higher rates of homelessness. As a strong ally for the LGBT community, Shila became passionate about shifting her focus to specifically support this group. In her time at Meredith Shila has truly found her voice and is no longer afraid to ask questions and initiate change. She has learned how to speak up for what she believes in and embrace her authentic self while being able to befriend like-minded women passionate about the same causes.